Samsung Medical Center (SMC), one of the most renowned hospitals in Korea, clinically evaluates the new improved S-Detector (S4335-W) from Samsung Electronics. Clinical results showed improved image quality across the board, specifically in image contrast. 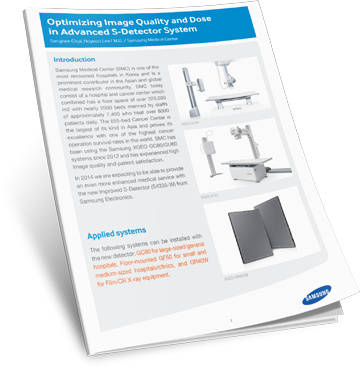 DQE showed an improvement of approximately 8% and overall image quality was excellent.